The governor accomplished nearly all of his legislative goals this session, from various steps related to education to a measure that restores benefits to some needy families. In the end, Gov. Doug Ducey got nearly everything he wanted – slightly more money for teachers, a huge university bonding plan and several controversial education programs like universal vouchers and performance funding for schools. The budget I signed this week makes significant new investments in K-12 education, with a focus on teacher salaries, making our best schools available to more students and providing added resources in low-income areas to help close the achievement gap. Gov. 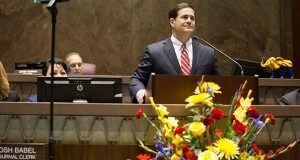 Doug Ducey inked his approval Friday to a nearly $9.82 billion spending plan for the new budget year that begins July 1. Arizona teachers will get a small raise. The state’s universities may take on more debt. High-achieving schools will get more funding. The Arizona House approved the most contentious part of a $9.8 billion state budget package this evening, clearing the way for approval of the package in that chamber. 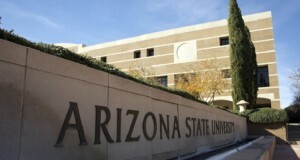 Lawmakers could face a lawsuit from the universities if the proposal to permit them to issue bonds of up to $1 billion falls flat, the head of the Arizona Board of Regents hinted.